A multi-centre study was presented at the just concluded 4th International Workshop on ‘Applications of ICTs in Education, Healthcare and Agriculture’ sponsored by the Federal Ministry of Science and Technology and its international partners. The lead presenter on ICTs in Health, Prof. Philip Njemanze, in a 10-year work done in Imo State, demonstrated that malaria prevalence was linked to collection of rainwater around homes and land streams dug for drainage and for collection of water for farming and processing of farm produce like palm oil. In the report published in the Journal of Environmental Neuroscience and Biomedicine, it was disclosed that the monthly cycle demonstrated two peak months (February and August) in the dry season and two low incidence months (June and October) in the wet season. 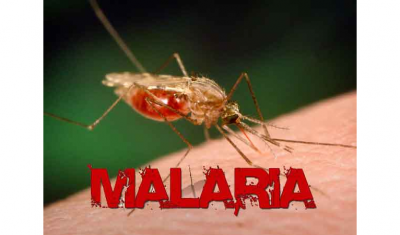 These observations of the behaviour of the mosquito vector and the life cycle of the malaria parasite plasmodium led the investigators to propose a solution to malaria control never proffered until now. The investigators proposed that if all citizens of Nigeria would take antimalarials at the same time four times a year, all would be free of the malaria parasite at the same periods such that biting by mosquito would not transmit the parasite and if sustained within 2-4 years before 2022 Nigeria could be free of malaria as a public health problem. They further suggested that if extended across ECOWAS countries the entire region could be free of malaria by 2025. The paper was greeted with enthusiasm by participants and a resolution was adopted to make the proposal as part of the South-South Cooperation and a Presidential Initiative in a new Expanded Roll-Back Malaria initiative that includes control of environmental factors, provision of potable water, and adequate nutrition.